Weekly bonuses are also important. Check out what NordiCasino has to offer. You can also try NordiCasino. Its Promotions section is booming with bonuses you can claim over and over again - plus a triple Welcome Package for new players. Just go to the site through this link and check everything out. You don’t need to sign up right away - I just want to show you an example of a page done truly well. And below, I explained the best (in my opinion) NordiCasino bonuses one-by-one. Even though regular bonuses are important, you shouldn’t ignore the Welcome Offer, either. 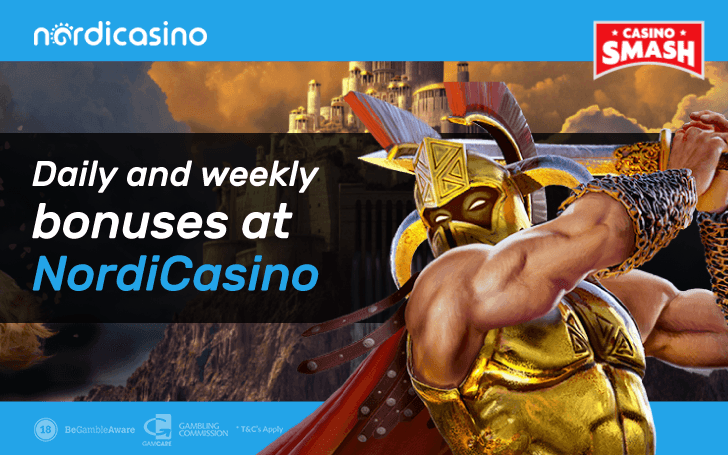 To get the deposit bonus and 20 no-wager spins, you need to register at NordiCasino and deposit at least €20. And don’t forget to use our bonus code (SMASH10). 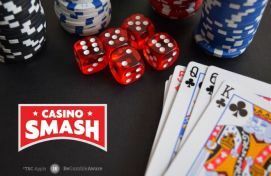 Otherwise, you won’t get the exclusive CasinoSmash bonus. Now here’s the interesting part. NordiCasino features so many regular offers that the Welcome Package might even seem obsolete (but it isn’t!). Daily Wheel of Fortune. Spin the wheel and find out what you’ve won today (or not). Weekly Cash Spins. Every 100 real money spins played during the week give you one Cash Spin with no wagering. Claim this bonus every Sunday. Spin-a-Thon. Deposit at least €20 with the code WEEKEND and get 100 free spins for the Slot Book of Dead. Valid every weekend. Monthly Reload. Once a month, you get a deposit bonus of 120 percent. Any day of the month, deposit with the code WINNER to get the extra cash. One more thing - don’t forget to join NordiCasino’s VIP program. It’s a nice one, as you get mystery gifts, secret promotions, and extra cash points. At the end of the day, bonuses are a great help when it comes to surviving in the cold and unforgiving world of gambling. Use this opportunity - and good luck. Bonus info: terms and conditions apply to the offer. If something isn't clear, have a look at our review of Nordi Casino for the T&Cs in full. The offer on this article might have expired by the time you read it. Please refer to the review pages for the latest bonuses and promotions available.